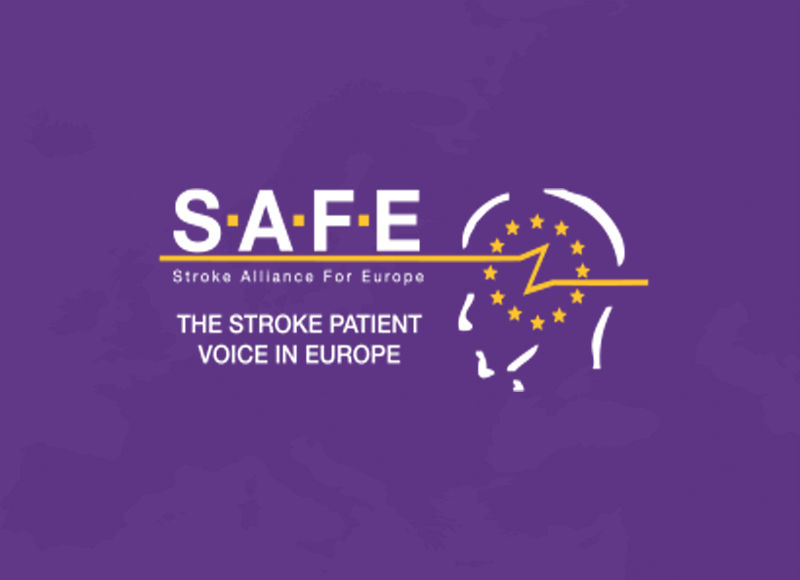 A debate on stroke is emerging in Brussels for the first time, thanks to the joint mobilisation of physicians’ association ESO and the patients’ association Stroke Alliance for Europe – SAFE over the past year. 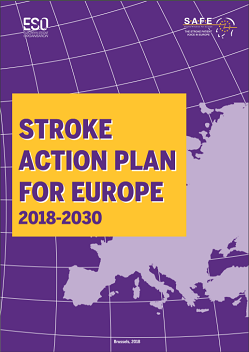 This mobilisation started off with a joint letter sent on November 2016, calling on the European Commission to play a greater role in ensuring access to the current stroke management standards and facilitating cross-border cooperation between member states. In order to preserve this momentum and garner political support, ESO and MEP Aldo Patriciello have decided to organise an event within the European Parliament, focusing on innovation in stroke treatment and access to it. The primary objective was to bring together representatives from ESO and the EU institutions, physicians and patients with the aim of discussing how to ensure equal access to the current stroke management standards and reduce inequalities within Europe along the whole patient’s care pathway. Prominent speakers such as Prof. Valeria Caso, ESO President, MEP Aldo Patriciello, Prof. Anthony Rudd, Prof. Janika Kõrv and Dr. Rodolfo Grella addressed the current issues in stroke treatment in Europe, and Prof. Urs Fischer presented results of the latest survey on acute stroke treatment performed in 52 European countries (according to the World Health Organisation classification of countries considered to belong to Europe). 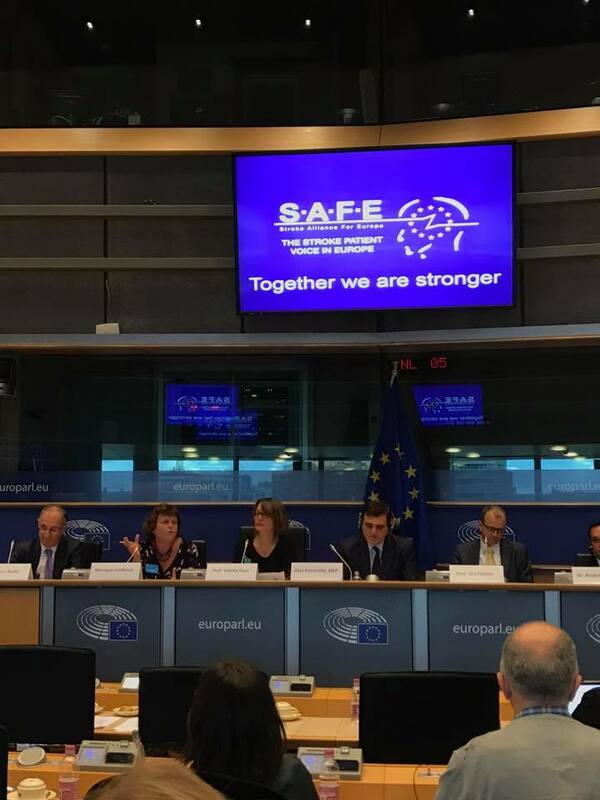 SAFE was represented by two board members who were speakers at this event, Monique Lindhout CEO of the Dutch Brain lnjury Association –Hersenletsel.nl and Grethe Lunde, stroke survivor and member of the Norvegen stroke support organisation (Norsk forening for slagrammede). Marc Van Dorst (63), a stroke survivor from Belgium, shared his story from July this year, when he managed to survive a severe stroke due to a quick reaction of his family and doctors. In his case, the latest method of acute stroke treatment, mechanical trombectomy, was successfully performed and he was able to return to the life he had before stroke. 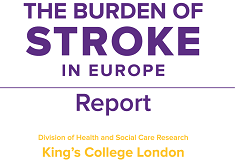 What are the current practices in Europe regarding stroke care? What is endovascular stroke treatment and why is it revolutionary for patients and society as a whole? What are best practices in stroke management in Europe and how to share them? What are the main challenges to the uptake of innovative treatments and the development of optimal stroke care pathways? How can the EU contribute to ensuring equal care for all European patients? Please find below the speakers’ biographies. She is a past member of the JNNP Editorial Board. She has served as peer reviewer to over 30 international journals including JNNP, CVD, Stroke, Neurology and Lancet Neurology for more than a total of 200 papers. She has been involved in 20 multicentre trials serving in various positions including steering committees. She supervised several masters, residents and MD-theses. She is currently actively involved in international research projects on cervical artery dissections, heart and brain, intracerebral haemorrhage, and acute stroke treatment. She has made primary interest the treatment and prevention of stroke in women and she is about to present a multicentre European project on primary prevention in women with the aim of uncovering the underlying thought to be associated with fostering stroke in women of all ages. Aldo Patriciello was elected Member of the European Parliament in 2006. In his current third term, he is a member of the Group of the European People’s Party (EPP), treasurer for the Italian Delegation within the EPP (Forza Italia) as well as a member of the Committee on Industry, Research and Energy (ITRE) and substitute member of the Committee on the Environment, Public Health and Food Safety (ENVI). MEP Patriciello was born in Venafro, Italy. Next to his political activities, he leads a group of thirty companies, mainly in the health and scientific research sectors. He started working in a small family construction company and helped it to grow into a major economic and productive group of his home region. From 1995 to 2006 and before being elected to the European Parliament, MEP Patriciello served as Member of the Regional Council of Molise, Vice-Chairman of the Regional Council, as Molise Regional Councillor responsible for the budget, transport, agriculture and production activities and Vice-president of the Regional Government. Urs Fischer was trained in Bern (CH), London (UK), San Francisco (USA) and Lomé (Togo), and he is Professor of Neurology at the University Hospital (Inselspital), Bern. He is the Head of the Neurological Emergency Team, which treats more than 1400 stroke patients per year. The University Hospital Bern is one of the pioneer centres worldwide in endovascular stroke treatment (Pioneers: Prof. Heinrich Mattle and Prof. Gerhard Schroth). Furthermore, Urs Fischer is the head of the Neuro Clinical Trial Unit and Co-Director of the Clinical Trial Unit at the University of Bern. Urs Fischer was a research fellow at the Stroke Prevention Research Unit at the University of Oxford (Prof. Peter Rothwell). He has published papers on different aspects of patients with acute ischemic and haemorrhagic stroke. His research interest involves acute endovascular stroke treatment, blood pressure and stroke, stroke in children and young adults, and intracerebral haemorrhage. He is participating in multiple preventive, diagnostic and acute treatment trials and stroke registries. He is the co-principal investigator of the SWITCH study: decompressive craniectomy versus best medical treatment of spontaneous supratentorial intracerebral haemorrhage: a randomized trial (switch-trial.ch). Prof. Anthony Rudd was appointed consultant geriatrician and general physician at St Thomas’ in 1988. He has helped develop St Thomas’ stroke services, which are rated amongst the best in the country. For the last 10 years, Anthony has focused solely on stroke care running the stroke unit and outpatient service. Anthony has been the Stroke Programme Director at the Royal College of Physicians since 1995 and a trustee of the UK Stroke association from 2005-2014. Most importantly, he is the London Stroke Clinical Director since 2010 and the National Clinical Director for Stroke with NHS England since 2013. From 2010 he has been a Professor of Stroke Medicine at Kings College London. In 2013, Prof. Rudd received the honour of the Commander of the Order of the British Empire (CBE) for his services to stroke medicine, an award attributed for one’s leading role at regional level. Janika Kõrv MD, Ph.D. graduated from the University of Tartu, Estonia. After completing a specialization in neurology and PhD studies, she started her career as a neurologist at Tartu University Hospital. In 2010, she was elected Associate Professor at the Department of Neurology and Neurosurgery, University of Tartu. Dr Kõrv’s main research interests are epidemiology of stroke, acute stroke management, and young stroke. Besides being engaged in national clinical research projects and supervising PhD students, she has been involved in numerous international stroke trials as well as other international research collaborations as the National Coordinator. She has published more than 200 papers and served as reviewer for several peer reviewed journals. Janika is the chair of the Estonian Stroke Initiative, board member of the Estonian L. Puusepp Society of Neurologists and Neurosurgeons, national delegate at the European Academy of Neurology, and Fellow of ESO. Since 2015 she is the chairperson of the Nordic Stroke Society. Janika Kõrv has been the project leader of the Estonian Stroke Guideline, National Stroke Audits (2010, 2013) and current stroke quality indicators’ program. She is a member of ESO guideline working groups. Dr. Rodolfo Grella currently works at the Stroke Unit at IRCCS Neurological Mediterranean Institute. He specialises in geriatrics and diseases associated with ageing. He has been teaching nursing science under general physiopathology at the renowned La Sapienza University in Rome. Rodolfo completed a PhD focusing on metabolism and inventory and a PhD in geriatrics and physiopathology at Napoli University. Dr Grella has authored and co-authored more than 50 international scientific publications. He is actively involved in several projects such as Study and Monitoring of Glycaemia and Study, Assessment and Care of vasculophatic and neuropathic complications in diabetes. Monique graduated as a Speech and Language Practitioner in 1981 and started working with people with neurological speech, language and/or swallow disorders, in that same year. In 1986, she became a Board member of the Dutch Aphasia Association and has been involved in patient organisations ever since. She was elected as Secretary General of the Association lnternationale Aphasie in 2001 and served that organisation as President from 2003 – 2009. She has also worked as CEO of the Dutch Aphasia Association since 1996; becoming CEO of the Dutch Brain lnjury Association –Hersenletsel.nl – in 2014 (following the merger of the Dutch Aphasia Association with the national Stroke Association and a third organisation for people with brain injuries). In 2016, she was elected as a Board Member of the Stroke Alliance for Europe. 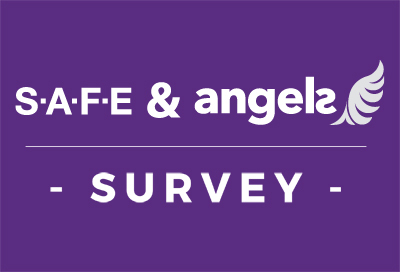 Grethe is a stroke survivor and a Board member of SAFE. Please see her story here.